NEED PAINTING SERVICE? 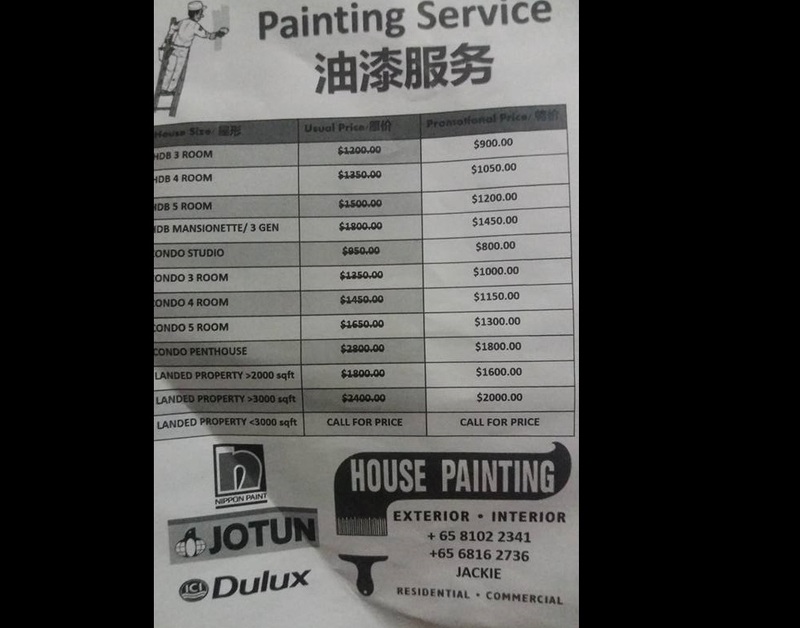 REASONABLE PRICING BY FREELANCE PAINTER! You are at:Home»World News»Business»NEED PAINTING SERVICE? REASONABLE PRICING BY FREELANCE PAINTER! I noticed a young boy handing out fliers for a painting service. Cant help but tear. When asked he called his dad. Turns out his dad is a freelance painter. Just doing my part by spreading the word. His rates are very reasonable. Please support him. I know how tough it is to run a business, and a 1 man show at that. If he could afford to pay someone to hand out the fliers instead of his young boy Im sure he would. So please, do give him a call. U never know. Previous ArticleINDONESIAN MAID WORKING FOR EMPLOYER FOR 10 YEARS BUT ONLY GET PAID TWICE!